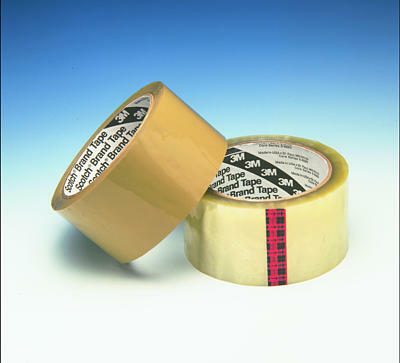 Clear or tan polypropylene tapes with rubber resin adhesive to instantly seal single- and double-wall RSCs. More than 6,000 minutes adhesion to fiberboard. Tensile strength of 26 lb/inch in machine direction; 52 lb/inch cross direction.